Booking online might be the order of the day, but that’s all about to change. Retail travel outlet, Flight Centre, is revolutionizing travel booking with the help of Vostok VR. Recent visitors to three Flight Centre branches in Singapore were treated to a virtual reality preview of potential holiday locations. The innovative new experience built confidence and excitement in customer destination selections and buzz around the travel agency’s brand. The industry-first in Asia travel library was created by the 360 video production company, Singapore-based Vostok VR. The library contains modular reusable videos of destinations viewable onsite through virtual reality headsets. Viewers were able to scuba dive, visit ancient towns or stand amidst urban city lights in cities like Cairns, Hanoi and Tokyo during their lunch break. While the video was fun for customers and a good sales tool for the Flight Centre team, the 360-degree videos also serve as a training tool for sales consultants to build and strengthen their product knowledge. Customers, sales consultants and business partners provided overwhelmingly positive feedback with ninety percent of participants reporting interest in seeing more holiday destination virtual reality movies. Consultants also reported interest in the addition of more destinations to rely on as sales tools and partners, like Tourism and Events Queensland, are on board for program expansion. The virtual reality destination library program created a 19 percent sales conversion bump that is expected to settle to 10 percent as the initial buzz settles down. The program was covered in The Business Times, Singapore Hardware Zone, Vulcan Post, TravHQ, Travel Daily Asia and Web In Travel creating media valued at over $135,000 USD. 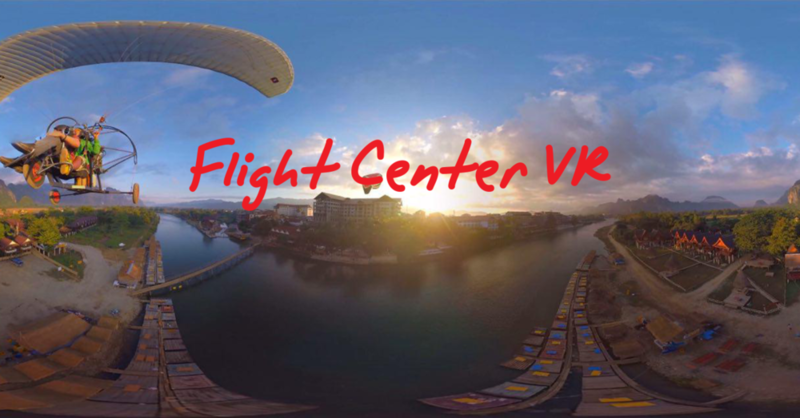 Flight Centre and Vostok VR plan for more videos as customers are seeing the possibilities of this new travel shopping centre. The new videos align with products, campaigns, and targeted audiences while continuing to serve as sales and training tools and a brand differentiator for Flight Centre.